Thank you for being willing to share your thoughts on publications with us. This brief survey will cover questions related to our September 2015 CACM Editorial and the Viewpoint articles that accompanied it. The Publications Board will be taking up this issue at its meeting on September 28, so it would be most helpful to have your input no later than September 20. If you haven't seen the article, you can find it here. To keep this survey compact, we have only three pages of questions. This page is a set of fixed-answer questions about the specific policies being discussed. Next page is a place to provide open-ended responses. And the final page collects some demographics to help us understand who is responding to this survey. Extended Papers. Authors of conference papers may extend their papers (with at least 25% new content) and then submit them to journals (with a full journal review process). In some cases, conferences arrange a special journal issue and invite a set of the best papers from a conference to submit such extended versions. Arguments for this model include encouraging authors to "finish the work" incorporating additional details, analysis, and the follow-up work that results from discussion at the conference. Arguments against this model include that it results in citation splitting (later authors cite one paper or the other, not both), that many conference papers were already "finished" and are encouraged to dilute themselves with extra content that is not valuable, and the additional lag time from initial research to final publication. Journal-First. In this model, authors submit directly to a journal, and papers that are accepted to the journal by a certain cut-off date are invited to also present the work at a leading conference. Some conferences use this model as a way to expose their attendees to the work published in journals. A few have abandoned regular submission/review and rely entirely on journal papers for their content. Arguments for this model include the full-quality journal review process and the single complete paper that results. Arguments against this model include concerns about scaling to large communities and concerns about losing the benefits of conference program committees. An example of this model is the TACO/HiPEAC arrangement. Journal-Integrated. This model involves an agreement between a conference and a journal to have a conference review process that meets the standards of the journal's process (including requirements about number and quality of reviews, ability to monitor revisions), and that has a method to hand-off major revisions into the journal's process so that conference papers can iterate through multiple revisions as needed to improve to publication-quality. Arguments for this model include leveraging the existing conference program committees while streamlining transitions to journals. Arguments against this model are the risk of swamping journals with conference submissions (over other submissions) and concern over whether editors can actually exercise sufficient oversight over the conference review process and quality. An example using this model is SIGGRAPH / TOG. PACM. 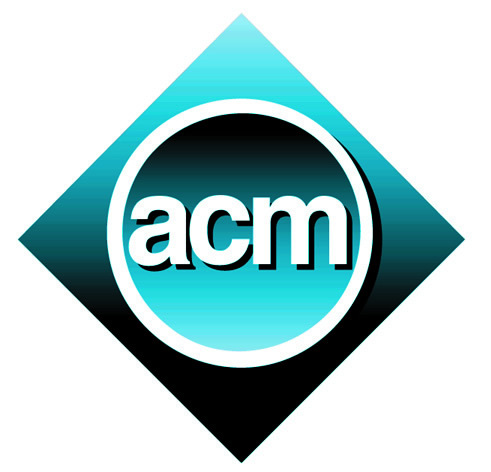 This proposed model would create a new journal series, tentatively titled Proceedings of the ACM on X (where X is a topic area such as Programming Languages or Distributed Systems), that would publish the papers accepted by conferences with rigorous enough review processes to meet journal standards. Arguments for this model include recognizing that top ACM conferences already have review processes and paper quality comparable to journals in other fields, and that many authors don't get the recognition they deserve because some institutions, countries, etc., only recognize journal papers. Arguments against this model include believing that conferences are different and should be recognized as such, and that it is a mistake to back away from pushing to recognize the impact of conferences directly. * 1. How do you feel about continuing to allow/encourage submission of extended papers from conferences into ACM's journals? * 2. Do you feel that special issues of extended papers from a conference generally make an important contribution to the field? * 3. Would you support making reviews (including reviewer info) available to journal editors for extended papers submitted from conferences (with advance permission from authors and reviewers)? * 4. Do any of the conferences you regularly participate in offer the journal-first option of authors submitting to journals and presenting accepted papers at the conference? * 5. How do you feel about conferences establishing journal-first publishing relationships with related journals? * 6. Do any of the conferences you regularly participate in offer a journal-integrated review process (where the proceedings are published as a journal issue, and promising rejected papers can be revised and reviewed for a later issue)? * 7. How do you feel about conferences establishing journal-integrated review processes as described above? * 8. How concerned are you that journal-integrated conference publishing dilutes the value of existing ACM Transactions and Journals? * 9. Overall, how you do feel about the idea of creating a PACM journal series to publish the proceedings of ACM's best conferences (you will have a chance to provide input on criteria below, assume the design meets your criteria)? * 10. How important are these reasons to your opinion on the PACM proposal? You can address other issues on the next page. The challenge faced by many researchers whose conference papers are not recognized a full contributions. The feeling that conference review simply isn't the same as journal review. The concern that a "new series" won't be given the respect needed. The concern that "journalizing" conferences will just continue the problem of making conferences too selective. The concern that PACM series will not uphold the high quality standards that it should. The concern that if conferences can't be published as journals inside ACM, they'll try to do so outside ACM instead. The benefit of combining the best features of journal and conference review (e.g., time for revisions plus a PC meeting and comparative evaluation of papers). * 11. How important do you feel each of the following criteria is for limiting PACM to only top-quality conferences and making it a worthy journal series?